Knight, who lives in North Carolina, first saw go in “Pi,” Darren Aronofsky’s 1998 directorial debut. 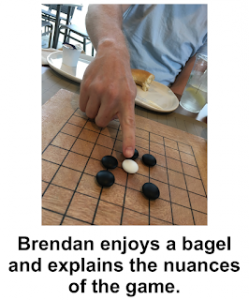 His curiosity about the game portrayed in the film led him to an iPad app and then to his local go club in North Carolina, where a lesson with Brendan got him hooked. “Go seems to have a really good community around it, and quite a diverse player base,” Knight says. “And I can’t help but think that in time, though it may be decades from now, it’s going to become as popular among Americans as is already chess, checkers, and Cards Against Humanity!” In additional to a number of cultural references, the blog post includes a description of how to play, with helpful photos. We got a glimpse of the future when our good friend Matsumoto Mamoru recently had us as guests in his home near Osaka, Japan. His family robot, Pepper, entertained us with conversation and song. 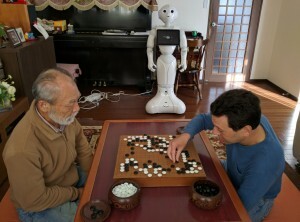 Then Pepper politely looked on while Matsumoto and Roger played a few games of go. Matsumoto — who attends the U.S. Go Congress most years — also took Roger to play at the Kansai office of the Nihon Ki-in one afternoon. There were 25-30 people there that day, and Roger met some very nice local players. While in Tokyo, we had the pleasure of a nice visit and dinner with go teacher Kazunari Furuyama, author of the E-Journal “Lessons with Kaz” series. 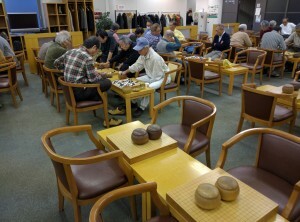 Thanks to the game of go, we have made some wonderful friends in the beautiful country of Japan. This was our third trip, and we visited several small towns, did a four-day pilgrimage walk, and learned about the rich history of Japan. 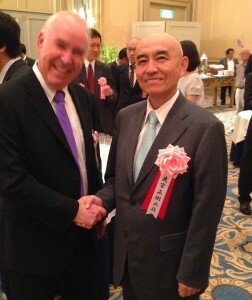 But most of all, we enjoyed spending time with our Japanese friends. And Roger was lucky to get in some go games along the way! 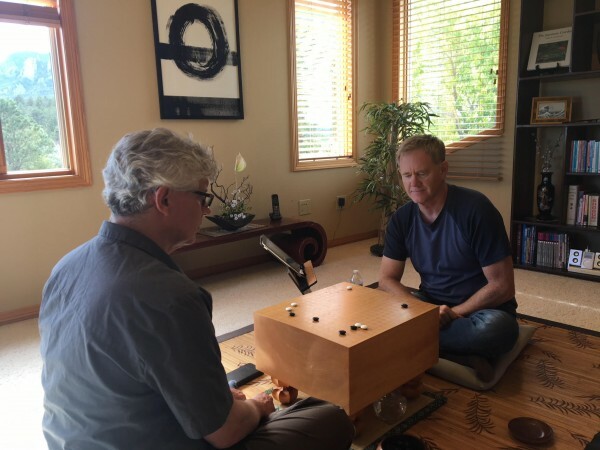 Roger Schrag is a co-founder and past president of Bay Area Go Players Association. Photos by Lisa Schrag. 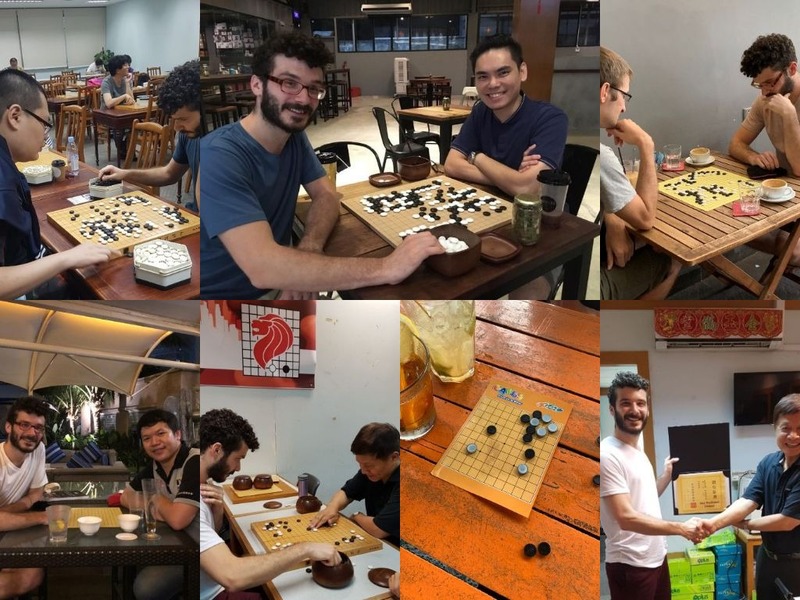 The Nihon Kiin Summer Go Camp, an intensive training program targeted at non-Japanese go players, was held from August 21st through September 3rd at the Nihon Kiin in Tokyo. 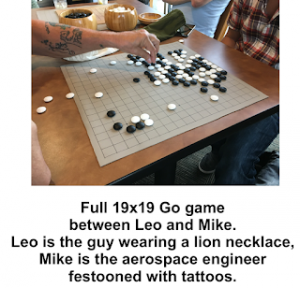 Vermont go player Peter Schumer was among those attending; here’s his report. 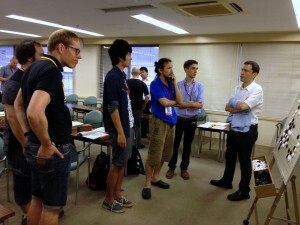 The 2016 Nihon Ki-in Summer Go Camp was attended by around 20 go enthusiasts from all over the world, all of whom were warmly welcomed and got to participate fully in all activities. 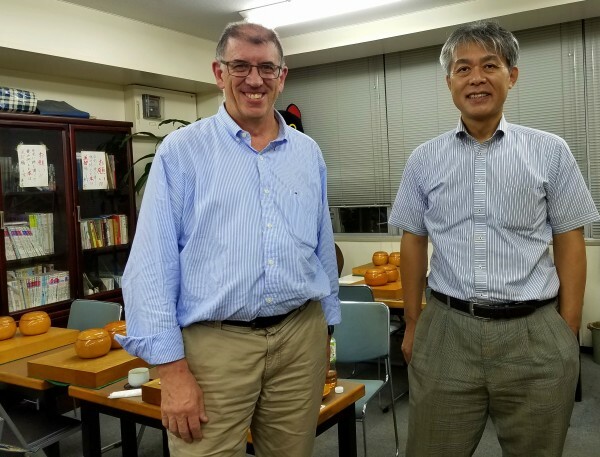 World renowned professionals including Kobayashi Koichi 9d, Ishida Yoshio 9d, O Meien 9d, and Michael Redmond 9d gave regular lectures, went over famous games, and played several simultaneous games with the attendees. Sometimes you really had to pinch yourself that you were actually there hanging out with these stars of the go world. 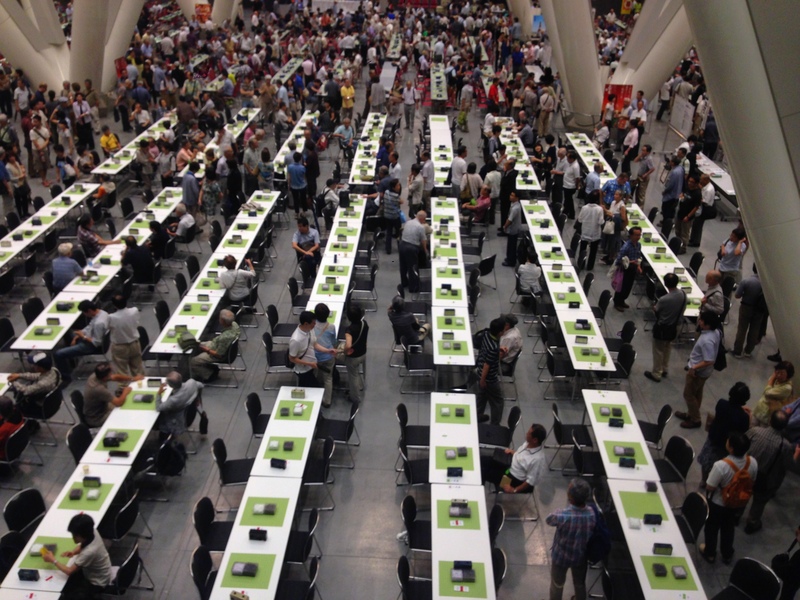 In addition to pro instruction, the daily routine was packed with go activities, including games, problems, tournaments, social events, and sightseeing to Kamakura, Asakusa, and Yokohama. Camp attendees had ample opportunity to play many games throughout the two weeks, participating in goodwill matches with college students, insei, and go clubs from around the city. 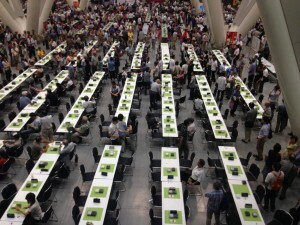 Notably, attendees were given the unique chance to play in the Takara Shuzo Cup, the most popular amateur go tournament in Japan, which featured over 1,400 people this year. The night before the first game of the Meijin title match, camp participants joined go legends including Cho Chikun 9d, Cho U 9d, Takemiya Masaki 9d (at right, with Schumer), Otake Hideo 9d, Iyama Yuta 9d, and Takao Shinji 9d to enjoy a lavish reception at the 5-star rated Hotel Chinzanso. The following day they were allowed to sit in the same room as the players for a few minutes during the match itself, which was truly a special honor and very exciting. The camp featured its own league system with participants playing against one another in a double-elimination tournament. 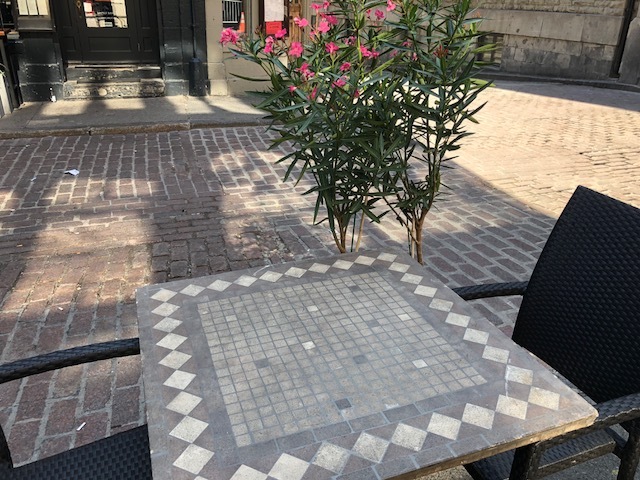 The winner, a 4-dan from Europe, was given the honor to play a 3-stone handicap game against none other than O Meien 9d, with Michael Redmond providing live commentary. 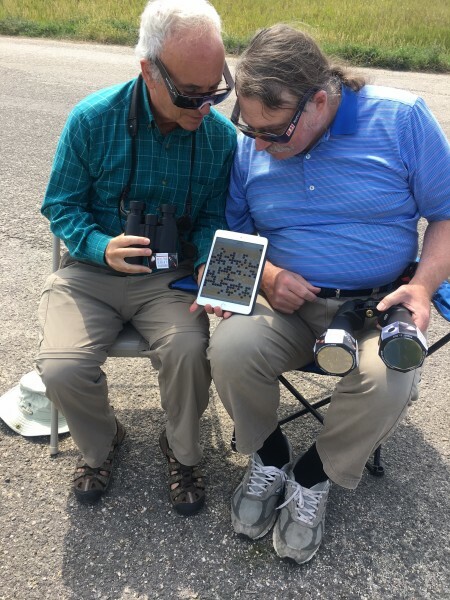 All in all the go camp was enjoyable, highly educational, and well worth it; the price of the camp was very reasonable. 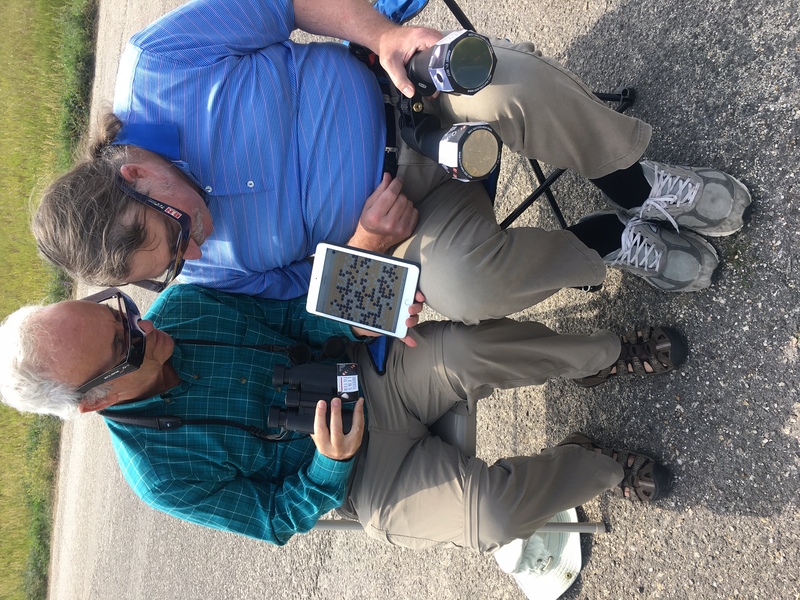 The camp was a first-rate experience where you can improve your go, meet wonderful people from around the world, and get to enjoy some Japanese sites and culture. In early 1997, I played in a Baltimore tournament as a 45-year-old three-dan. I split the first two games. In my third game I was paired in an even game with a two-dan. Statistically I had about a 2/3 chance of winning. I lost, but what was shocking was that I resigned in less than 30 minutes. 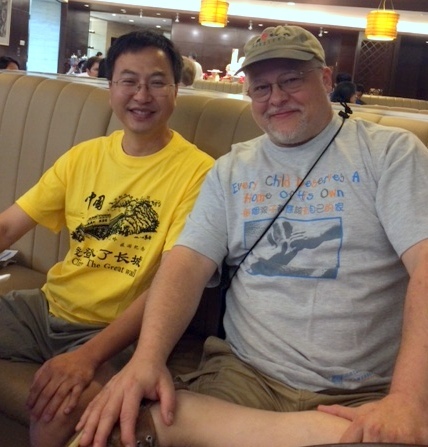 I had recently published, with Yilun Yang, Whole-Board Thinking in Joseki. The opening (fuseki) was by far the strongest part of my game. I was ahead at the end of the opening in at least 95% of my tournament games. I was shocked to be so far behind so early in a game. Normally, I have to get to my middle-game weaknesses before I fall behind. I had spent the previous decade studying intently, hoping to reach the upper levels of amateur play. I looked across the board, and realized my opponent had better potential than I. He was seven years old. I withdrew from the fourth round, went home in time to get a babysitter and go to the movies with my wife. By Monday, I had stopped all my regular lessons and training, and became a full-time photographer. 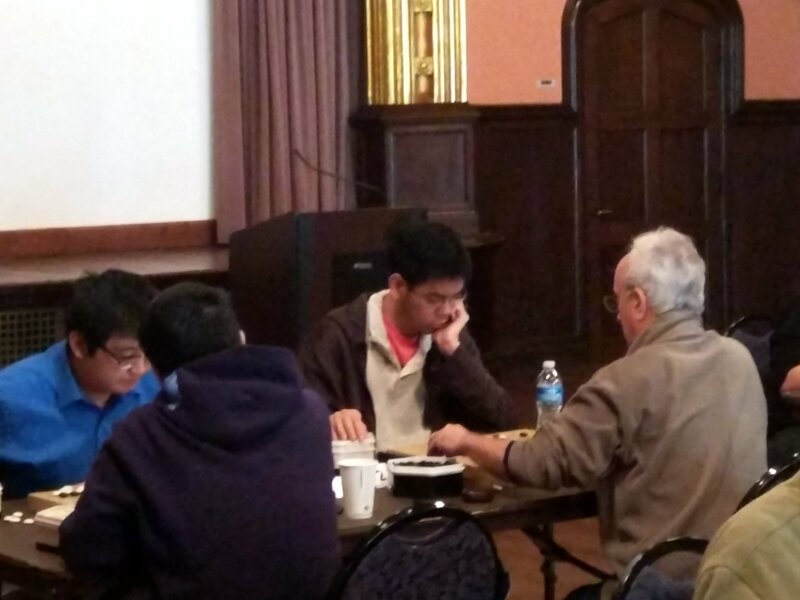 This past Saturday, I played in the Philadelphia tournament as a 64-year-old two-dan. 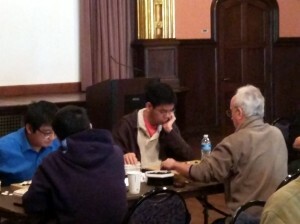 In my first game, I took six stones from Eric Lui, 1P. I was right. That seven-year-old in 1997 had had more potential. I was delighted that I didn’t lose this game until the fighting in the middle game. The six-stone handicap helped delay my second resignation against this fine player. It was a pleasure to lose again to this young man, who still has such great potential. Straus is a former president of the American Go Association. He’s at right in the photo above, playing Eric Lui. photo by Henry Hathaway.